Our first school : Kalkeri Sangeet Vidyalaya - Peach ! The first school that we met is called Kalkeri Sangeet Vidyalaya or KSV and is located south of India, approximately one hour from Dharwad city. KSV started as an informal music school in October 2001 in Dharwad. Mathieu Fortier, a Canadian citizen studying Hindustani classical music and his wife, Agathe Fortier, a Fine Arts graduate, started a free evening music school, giving the opportunity to forty children from disadvantaged backgrounds to learn the rudiments of Hindustani classical music. Later and in partnership with Ustad Hameed Khan, then the principal of the Music Department at the Karnataka College in Dharwad, and Mathieu’s brother Blasie Fortier the endeavour was expanded into a residential school where students could dedicate themselves completely towards their academic and musical studies. In November 2002, land near Kalkeri was leased and the school started with twelve brave children and two teachers. After eighteen months, there were forty children, six teachers and a handful of volunteers. Two years later the Kalkeri villagers, appreciating KSV’s work, donated three acres of land which is their current site today. Over the years KSV has broadened its horizons beyond music whereby the students now have the opportunity to take classes in Bharatanatayam dance and drama alongside their academic studies. KSV now houses more than two hundred children and employs forty full-time employees, who have the opportunity to discover the principles of living in a harmonious community. Kalkeri Sangeet Vidyalaya empowers, supports and encourages children from socially marginalised and economically disadvantaged backgrounds to realise their full potential and attain a better life. This is done through an intensive and comprehensive educational program of academics and the performing arts which is undertaken in a peaceful rural residential setting. In such an atmosphere the children learn many social skills and we ensure they receive a nutritious diet and adequate healthcare facilities. Care, love and compassion are fundamental elements of the whole process. Through their achievements at KSV the students will be in a position to attain more meaningful livelihoods, thereby breaking the cycle of persistent poverty and thus creating a better future for themselves and their communities. Through their music the children will contribute towards the conservation and diffusion of India’s vast musical heritage. Aung Myae Oo is a school for poor children and orphans in Sagaing Hill / Myanmar. The school was founded in 2003 by the Buddhist monk Ven. Vilasa (Ponchi). Since then, it has grown steadily. In the first year, 31 children attended the school. Today, only 11 years later, there are over 2350. The children are either accommodated in the school compound itself or in surrounding monasteries. 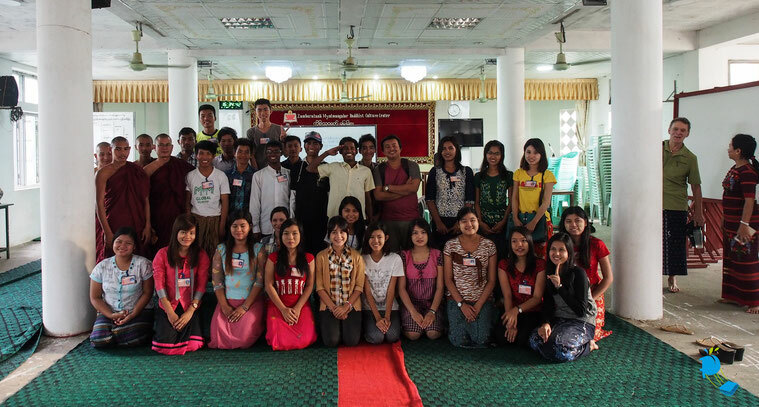 The overwhelming majority are young novices and nuns who are educated according to Buddhist traditions and values. Tuition is free for all students. The school is entirely funded by donation. 1. To provide education for all children, especially for those who cannot afford to go to school. 2. To train students in moral education in addition to a modern education system. 3. To implant a sense of responsibility for their nation, culture and religion into the mind of the younger generation. Basically the school began with the sense of responsibility when the founder noticed a need of education for children of poor families. Some local children, children from villages and from remote areas are accommodated at the school and their basic needs are supported by the school. The school began with primary teaching, but has been promoted to secondary and high school level. The main purpose of the school’s establishment is not only to give children a modern education but also tot train them in moral education. Due to an increasing number of students, the school has a big lack of facilities: The most urgent are a new school building as well as a accommodation for teachers and students. A big issue is also the water supply which has to be improved urgently. The story of Sunrise Home began in March 2007. But as early as 2002, following a few stays in India to work with Mother Teresa, Mama Louise, a nurse from Quebec City (Canada) chose to pursue her humanitarian commitment by teaching English in a monastery, to young people of underprivileged areas of Myanmar. As the years went by, she noticed poverty all around her. During a conversation with the monk in charge she decided to support his idea of opening an orphanage close from Yangon, the capital city. Between 2007 and 2008, more than 35 children were able to call this new haven their home. One year later the construction of a school was initiated. Today, in 2017, the Sunrise Home family has grown to 54 children. Thanks to the implication of the Association Entraide Myanmar (a Quebec group created in 2008), the work of numerous volunteers, generous donations from individuals and foundations, as well as the constant and precious cooperation of the co-founding monk and devoted Burmese, the dream could not have taken place, nor continue. Although numerous measures have already been taken, much remains to be accomplished: the children are growing, their needs are changing, cost of living increases, infrastructures sustain yearly damage by monsoons, and require continuous intervention. Phare Ponleu Selpak (PPSA) or “The Brightness of the Arts” is a non-profit Cambodian association improving the lives of children, young adults, and their families with art schools, educational programs, and social support since 1994. Today in Battambang, children and families still face many social problems. Children drop out of school, experience domestic violence, drug abuse, and migrate illegally to work in extremely poor conditions in Thailand where they face exploitation and abuse. PPSA take a holistic approach to solving social problems through the arts, education, and social work. Phare Ponleu Selpak seeks to provide education, access to the arts, vocational training, and professional pathways to the children and young adults of our community. The Visual and Applied Arts School is the foremost program of its kind in Cambodia. Leisure classes are open to all, introducing children to painting, drawing, and sculpture. The rigorous three year professional program gives Cambodians the chance to build careers in the Fine Arts, Graphic Design, and Animation. The Performing Arts School gives local children access to circus, theatre, dance, and music. The four year professional program provides a pathway to employment as a performer. PPSA alumni have gone on to perform and study around the world. Circus performances are held on campus every week. PPSA is working to build a sustainable artistic community within Cambodia. To that end, they offer solid employment opportunities for their graduates through their social enterprise partners. Their professional enterprise, Phare, The Cambodian Circus in Siem Reap provides career pathways for circus performers and musicians. The newly opened Phare Creative Studios is a Cambodian Graphic Design and Animation studio that hired 3 of their 16 graduated last year. In the unique environment of the Tonle Sap Great Lake in Cambodia, the Prek Toal Bird Sanctuary hosts the last stronghold of large breeding waterbirds in South East Asia. In 1999 when Osmose was founded, many of these threatened birds faced a serious danger of extinction due to over-harvesting of their eggs and chicks. 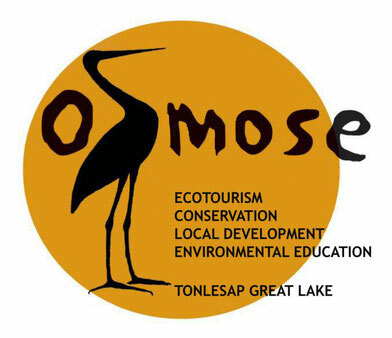 Osmose initiated a novel approach to environmental protection: advancing conservation objectives through environmental education, community support and alternative income generation from ecotourism. By 2005, bird poaching had stopped, the bird populations were recovering and the project had evolved and grown: the environmental education program reached over 1000 children, Osmose remained the premier Ecotourism operator in Prek Toal and over a hundred poor families have benefited from Osmose medical, social, schooling and material support and assistance. The alternative income program has expanded to include Saray, a cooperative that creates woven products from the super-abundant water hyacinth on the lake, generating incomes for almost 40 women. The environmental education program was launched in 2000. It was then a pioneering initiative and Osmose had to start from scratch: to build knowledge and activities, to create didactical tools in Khmer, to train local educators. Keo Yada, a primary school teacher, was the driving force behind the program and became the first employee of Osmose. The classes grew quickly, both for school and out-of-school children. Groups of children are collected by boat and brought to the Osmose platform or to outdoor activity sites (birdwatching or plant study in the forest, waste collection in the village). Today, 600 Prek Toal children have the opportunity to learn to appreciate and preserve their rich natural environment. In 2007, an independant evaluation of the program was conducted and the results are encouraging: children following Osmose's program have better knowledge and attitude towards the environment. The program is at present partially integrated into the school curriculum, and should progressively evolve toward sustainable development education. Malfroy school is a school located in Rotorua, on the north island of New Zealand. Rotorua is well known to be the heart of Maori culture in New Zealand and a wonderful place surrounded by an amazing nature. This school is very interesting as she mixes 3 different ways of educate young people. At first, a classic education school program supervised by the government and similar to European or American education that we will not describe here. Then comes Montessori program. Montessori at Malfroy School has a class where the program is based on the philosophy and methodology of Dr Maria Montessori . Learning is child-centred and child-directed, based on the child's interests and needs. The class caters for students from 5-12 years old and students are completely independent and can choose what they want to study and when, with specific material and a Montessori teacher. To finish with, school is having a Rumaki school program. Te reo Māori is indigenous recognised under ther Treaty of Waitangi, a primary source of Maori nation self-knowledge and identity, and an official language. By understanding and using te reo Māori, the school become more aware of the role played by the indigenous language and culture in defining and asserting their point of difference to the wider world. By learning Te reo and becoming increasingly familiar with tikanga, the students are able to strengthen their identities and cultural understandings. Understanding reo Māori stretches the learners cognitively, enabling them to think in different ways. Malfroy School currently has two rumaki classes. They have a junior rumaki class and a middle, senior rumaki class. This school is quite unique in New Zealand and a perfect example of diversity, knowledge and sharing. Located approximately 40kms from the city of Aluminé, north of Patagonia in Argentina, the school named Escuela 58 Juan Benigar (which is the 58th school built in the county of Neuquen) is usually called Ruka Choroy. Ruka means house and choroy is a type of birds that you can find only in this part of Argentina and that is really important for Mapuche people. The Mapuche are a group of indigenous inhabitants of south-central Chile and southwestern Argentina. The collective term refers to a wide-ranging ethnicity composed of various groups who shared a common social, religious and economic structure, as well as a common linguistic heritage as Mapudungun speakers. The Mapuche people and their truly remarkable history regrettably remain relatively unknown to the common man of the western world. As the sole group of South American indigenous inhabitants to successfully fend off the invading threats of both the mighty Inca Empire and the powerful Spanish conquistadors, their extraordinary achievements should be known universally. Independence victories aside, the Mapuche are also a people who, even in the face of an ever-growing globalized world, take great pride in having preserved the traditions of their ancient culture. Ruka Choroy is the only school in the country that teaches in Mapudungun. 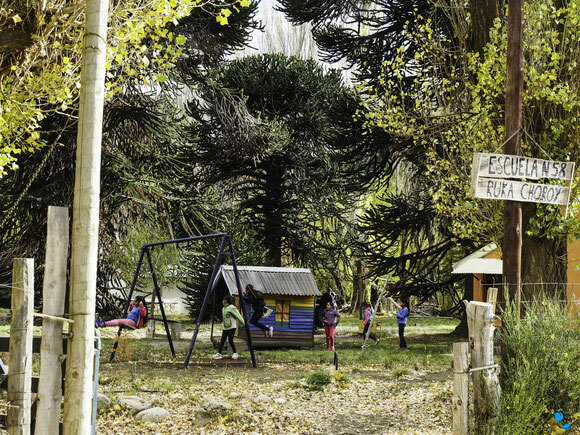 Being a public school, classes still follow most of the official program established by the govenerment, but it's location on a Mapuche land, in the middle of nowhere in a Mapuche village obviously made it a Mapuche school. Teaching in Mapudungun and Spanish, teachers are doing their best to give a chance to the 70 purpils registered and really want to share Mapuche culture. But with so few children and a location where it is not easy to go (very bad road, no buses, and terrible winter weather), the government doesn't give a lot of help. Teacher have to buy the furnitures and paper they need because they are not receiving any help, and Mapuche community has to take decisions and is trying to run the school the best they can. We went there to see how they struggle to give a good and modern education to those children who every year are getting better results and can now access to university after if they want to. Through education, community development, health services and the support of social workers, HOOP provides better opportunities for over 100 children and their families at the outskirt of Arequipa, Peru. These communities live on an average family income of US$ 90 and suffer from a lack of governmental assistance and poor access to essential services such as quality education, running water, proper sewage, garbage collection, health and social service. 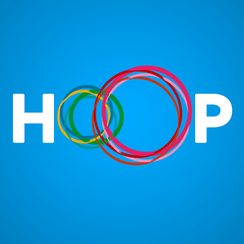 HOOP is a space where the children, parents, volunteers and professionals challenge themselves daily to become more active members in their communities. HOOP's philosophy is to provide the proper tools for each person to fulfill their capabilities and create new opportunities to break out of poverty. The children participate in one hour of English classes after school, followed by an hour of homework help, outdoor activities (carried out by volunteers) and art classes. To support and empower the women and community members HOOP also offers educational classes, social work workshops, access to psychologist and professional health services. The project has a direct impact on 100 children and their families by providing them with educational skills, vocational training and social services. It requires the work with the entire family to empower the mothers and encourage the parents to take on more active roles in creating a healthy environment for their children and take on active roles in their education to successfully break the cycle of poverty.